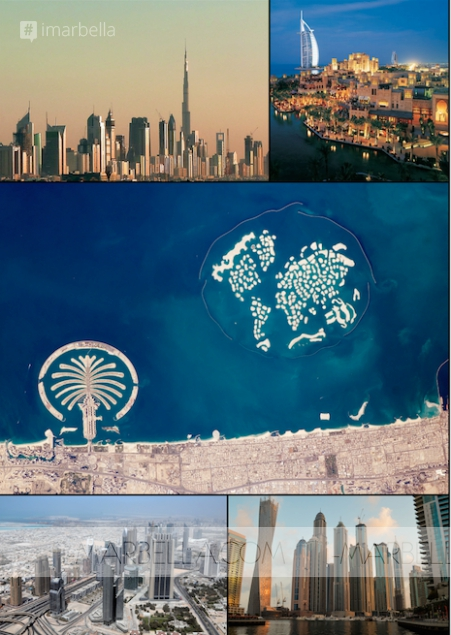 Dubai is the epitome of all things man-made, from bottom to top. One can find all kinds of attractions there, among them, the palm-shaped island, the tallest building in the world, musical fountains, Dubai Venice, and many more wonders to impress! Most of exciting events take place in hotels, always full of tourists as alcohol is allowed for consumption. It is also worth mentioning that kissing in public is strictly illegal and can result in deportation. Homosexuality is not only illegal, but is also punishable by the death penalty. The current situation is not as bright as it may seem as plenty of houses and apartments are empty, although construction is still in full bloom. Clothes, appliances, etc., are much more expensive compared to Europe (in particular, to Spain). I had to a chance to compare the prices at Versace and Hugo Boss stores as well as the prices for iPhone 6S -- the price difference is considerable. Shop assistants also confirmed the fact that the prices are considerably higher compared to European countries as salaries are higher, and rent, more expensive. It should also be mentioned that rent and real estate prices are beyond reasonable. On a side note, average hotels are more expensive than in London. I did not spot a lot of buyers either, which means that the price difference is starting to occur to the target group as well as that the bubble will soon pop. 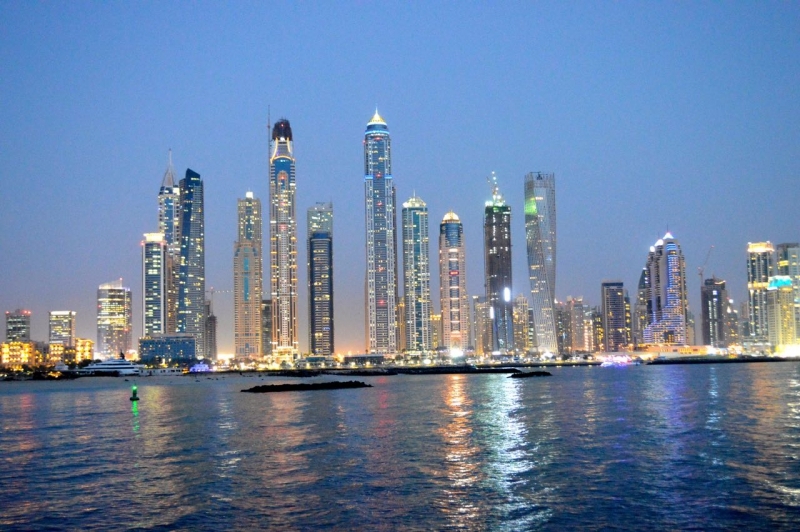 The highest floors of the world's tallest building -- Burj Khalifa -- are empty just like the villas of the Palm island. Unfortunately, half of the hotels are also half empty, and the year's average occupancy rate does not exceed 50%. The Dubai Fountain is the world's largest choreographed fountain system set on the 30-acre manmade Burj Khalifa Lake. It was designed by WET Design, the California-based company responsible for the fountains at the Bellagio Hotel Lake in Las Vegas. Illuminated by 6,600 lights and 25 coloured projectors, it is 275 m long and shoots water up to 152.4 m into the air accompanied by a range of classical to contemporary Arabic and world music. 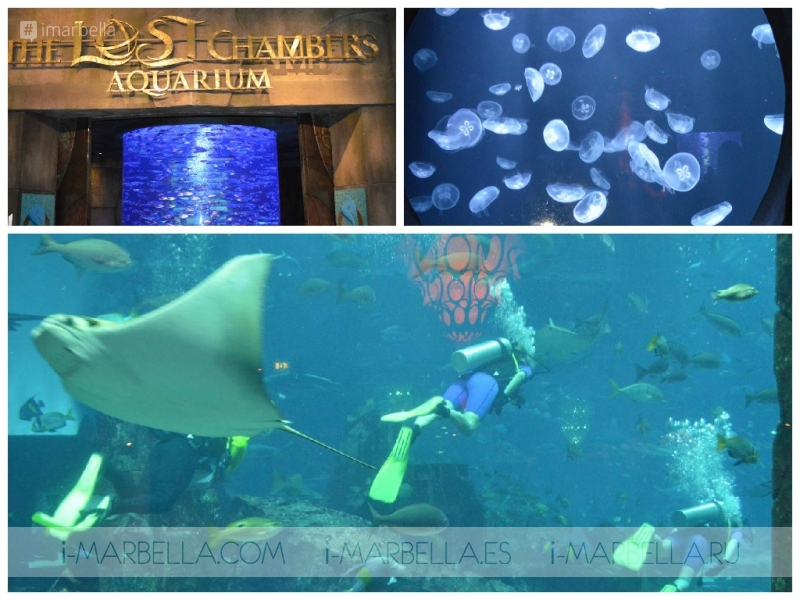 The Lost Chambers Aquarium is an aquarium exhibit with 65,000 fish and sea creatures including the Ambassador Lagoon, which is an 11,500,000-litre marine habitat. The lagoon can be viewed at the base of the East Tower through a ten metre long, seventy centimetre thick viewing panel which looks into a representation of the ruins of Atlantis.